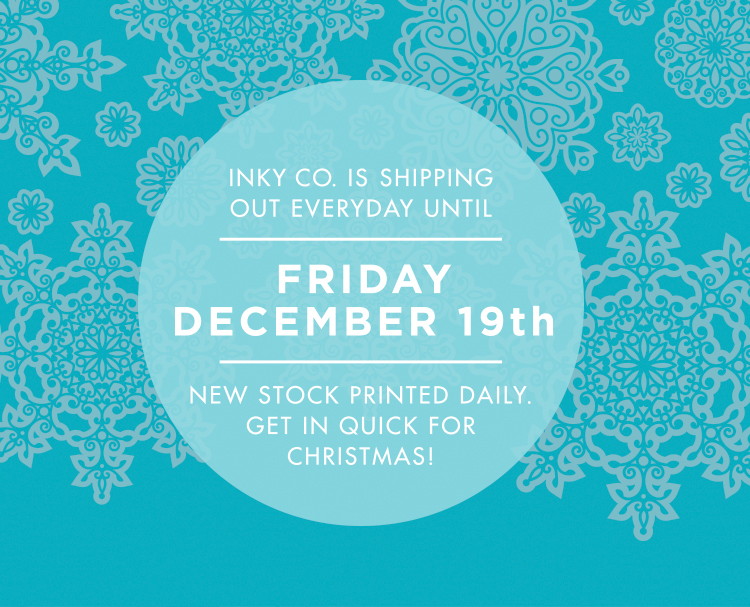 Here are our recommended final order dates so you can ensure all your goodies get to you before Santa does. We are still packing and dispatching orders everyday, and we will be up until the 19th of December for express post orders to any major city in Australia - please check Australia Post to make sure you are within the next day delivery zone. If you are in doubt remember that you can call us on (03) 9239 5080, email at info@inkyco.com.au or chat to us on Live Chat. Please note: we try our absolute hardest to pack orders out as quickly as possible but once it leaves our premises we aren't able to control the speed of delivery provided by Australia or New Zealand Post. Our last dispatch before Christmas is on the 12th of December.